The objective of this applied research project was to gain insights into the role of data in chronic care in order to identify key challenges and opportunities in this area. Together with an internal team working on this topic, we framed our main research questions. In order to answer these questions, I designed a process for our research. The research phase explored the problem area, while the design phase focused on exploring solutions. The initial research phase looked first at the macro context of the market and the organization, and then at the more micro context of actor interactions. In the macro research, I conducted a series of interviews with experts in chronic care research and design, as well as desk research on industry trends. Six search areas were identified, and then prioritized with the project sponsors: what particular context is the most valuable to study? The search area chosen focused on the interactions between patients and networks of care givers. Using a qualitative research approach, I interviewed caregivers and patients involved in cardiac chronic care. In this research different organizational, business model, technology and people factors were identified that either enable or block chronic care innovation. These were framed as three design challenges: conflicting views on value, organizational change resistance and communication in care settings. The design phase consisted of a series of iterations modeling the value exchange relations of the actors in a care system. 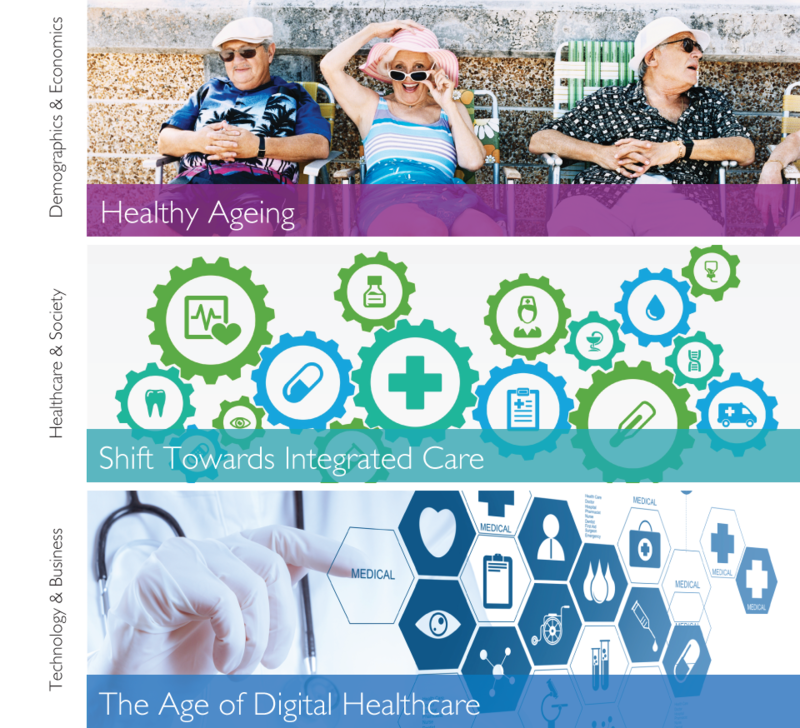 In each iteration, input from experts and the actors themselves was used to model a future vision of a data-enabled care product-service system. The resulting organizational, process and product-service-system design was presented to stakeholders within the organization as input for future developments. The project resulted in a report with trends and key research insights on the topic of the value of data for chronic care. Additionally, a series of recommendations for the company captured in strategic design models for envisioned solutions: a product-service system model, a business and organizational model, and a service blueprint. The output of the research and the strategy presented in the models of envisioned solutions served as tools for discussions within the organization and among stakeholders to frame new challenges for future innovations. The framework also highlighted new roles for the design function in organizational and business model design for such care innovation initiatives.